Liberty Styles is an emerging tap dancer in New York City with a long-time dedication to percussive dance. She spent ten years as a flamenco dancer in the United States and Spain. At age 15, she toured New England as a featured dancer in Ines Arrubla’s Bajo la Luna Gitana, a flamenco adaptation of the Federico Garcia Lorca poem. 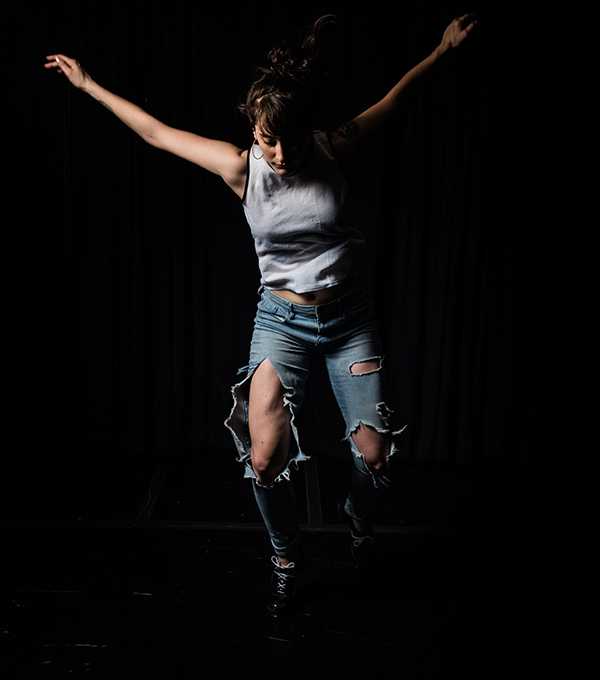 Liberty fell in love with tap dance upon moving to New York City, and since then she has studied diligently under dancers including Derick Grant, Jason Samuels Smith, and Andrew Nemr. In 2014, she founded the funk-hip hop band Liberty Zoo, in which she was the lead vocalist and tap dancer. Since then, Liberty has continued to sing and dance original music at venues including The Knitting Factory, Symphony Space, Harlem Stage, and Palisades. Recently, Liberty has performed works by Hillary-Marie Atkinson and Andrew Nemr. She is the house tap dancer at the Sifer jam in Harlem, and can often be found performing in the subways of New York. Liberty also teaches classes at the McBurney YMCA on 14th St, where she aims to emphasize musicality and tap dance’s rich history.